LOOK: Jennylyn Mercado gives Atty. Joji Alonso a luxury watch as a thank you gift! No wonder how blessed Jennylyn is nowadays. She's one of the very few stars who know how to show appreciation to the people who have helped her get to where she is today. Atty. Joji Alonso is one of them. The woman behind Quantum Films, Atty. Joji gave Jennylyn her biggest break in the silver screen when she offered the role of Tere in English Only, Please. After the critical and box office success of the said movie, another project soon followed, #WalangForever which was equally successful. In Atty. 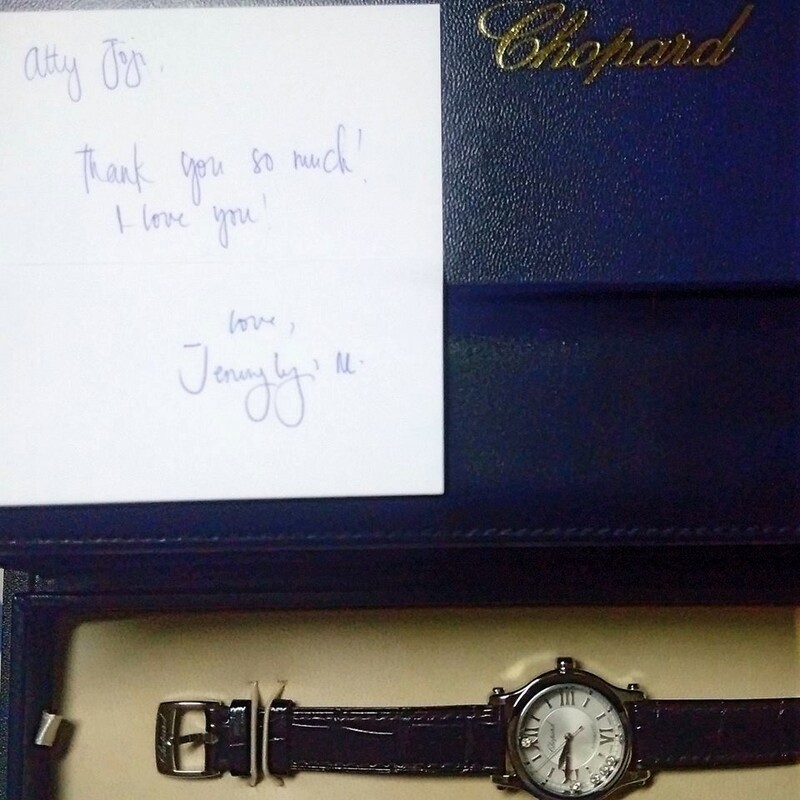 Joji Alonso's social media account she posted a photo of Jen's thank you gift for her, a Chopard watch with a short note written by Jen herself that says "Atty Joji, Thank you so much! I love you! Love, Jennylyn M."
Atty Joji on the other hand captioned her post with "Jen Mercado, I don't know what I have done to deserve this, but thank you!! To my daughter from another mother and father, I am sooooooooo proud of how you have risen beyond the challenges. Do take comfort in knowing that: marami kaming nagmamahal sa 'yo."